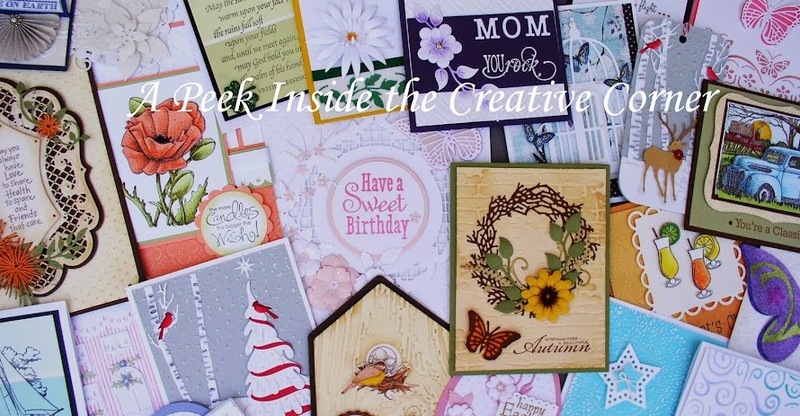 A Peek Inside The Creative Corner: Thank you! Just wanted to thank everyone who came to yesterday's Open House. You helped make it a wonderful day! I have to say, everyone liked the Make & Take.........those Cheery Lynn dainty flowers were a hit! And because all of us were working on them, we now have gathered a lot of tips! I love learning from you guys!!! Here are Mildred, Ceci, Ginny and Soni. As always, fun and relaxing, spending time with friends! And here is Becky just checking out all the goodies through out the store! Forgive me if you don't see yourself in the pictures........I always have good intentions to take photos of the event, but forget to actually do it. At least I remembered before it was all over this time and I got a few shots! Thanks again and looking forward to the next event!